I totally skipped out on last years one, so I had to make sure that I'll do a 2012 review post, like I always do for all the yesteryears. These type of posts do bring back sweet memories. It's hard accepting the fact that I'll be getting a year older and grow up ): But I did definitely enjoy my 2012 whole heartedly. I did a lot of traveling in 2012, almost a country every month, mainly Asian countries, cause it's definitely cheaper, and you can just go anytime, not so much planning involved. On the back of an elephant, which was walking up against the river tides | Chiang Mai, Thailand. Everytime I travel somewhere, I learn things about the country, the people, the history and everything else in between. Of course I did a lot of shopping too! Making full use of the vacation hehe. Plus, I am hoping to have different things then people back home. 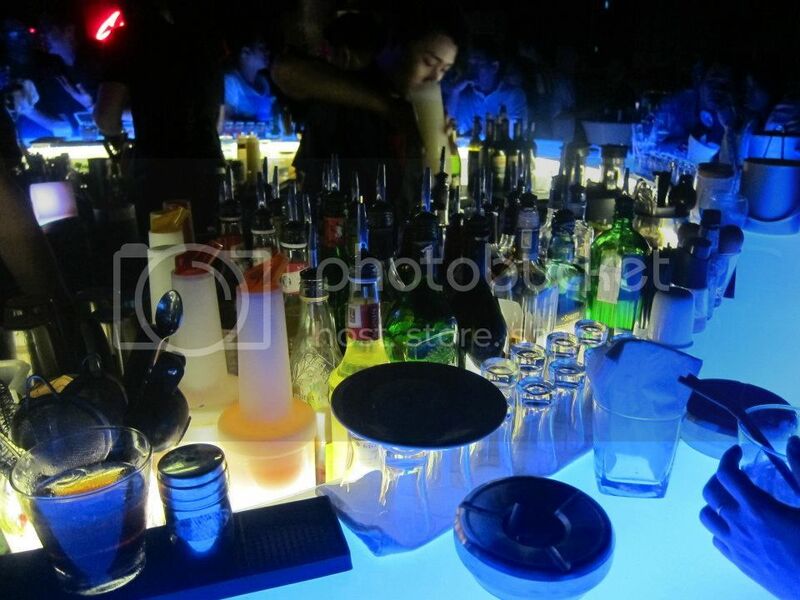 Chill Bar at AB Tower, a beautiful sky bar overlooking HCM City | Ho Chi Minh, Vietnam. Other than that, I tried out a few different things in 2012. 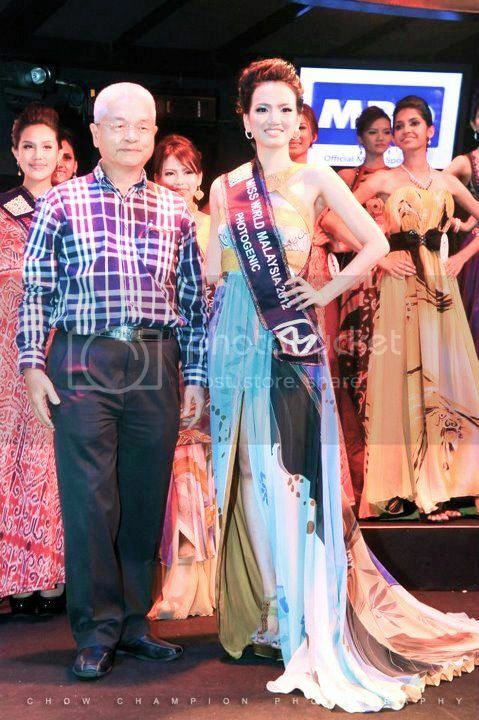 Miss World Malaysia, awards giving ceremony | Zouk Club, Kuala Lumpur. 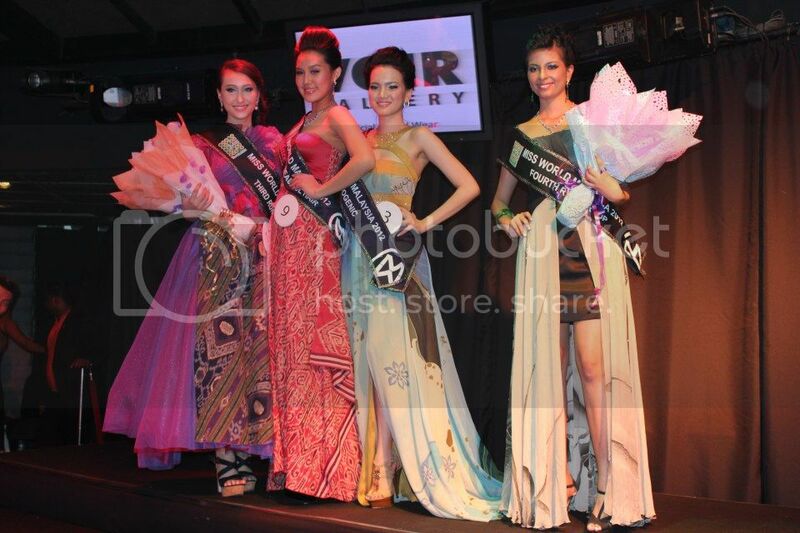 Not only did I travel, I joined pageants. Lol. Friends that knows me well, knows that I don't do pageants because I can be THAT shy. Oh and the pageants I joined this year was mostly out of coincidence and with forced support from people close to me. I have a new found respect for girls who join competitions/pageants, cause the amount of hardwork, effort and dedication given into these are just, amazing. Hennessy Artistry | KWC, Kuala Lumpur. Then of course, I still had my fun time. Where I would be chilling with friends or heading out for some night of partying! I guess this will never get old, but I do get bored or tired sometimes. 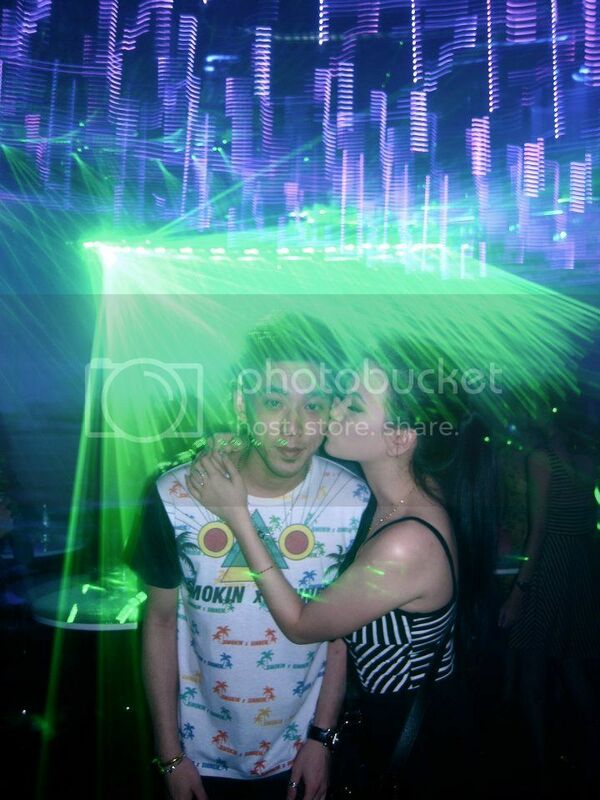 With the boyfriend, being silly cause we can (; | Zouk Club, Kuala Lumpur. Sometimes, I guess this is just an outlet for me to seriously let myself go and just be stressed free. Though I do feel at times, clubbing in KL, with that social circle that keeeeps getting smaller, self-inflicted competition are rising. Maybe it's time to change to a new thing, house parties instead? Still, traveling is the best. You go somewhere that you're totally new to, or you might've visited a few times, but you still get to explore and experience new things. Definitely broadens up your thinking. Bringing you to a whole new perspective. 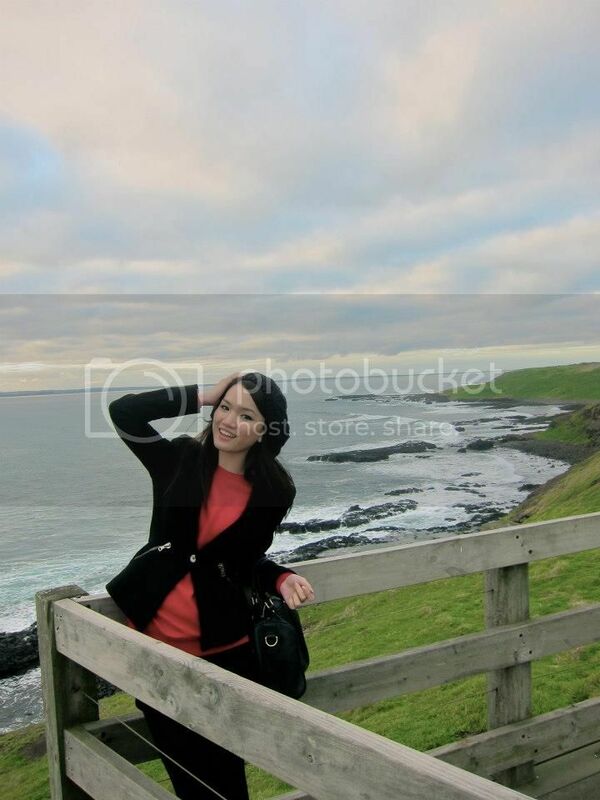 Philip Island, Melbourne | Australia. Most of the places I visited this year was cold, not that I have a thing for cold weather but it's a change from Malaysia's hot and humid (sometimes rainy) weather. 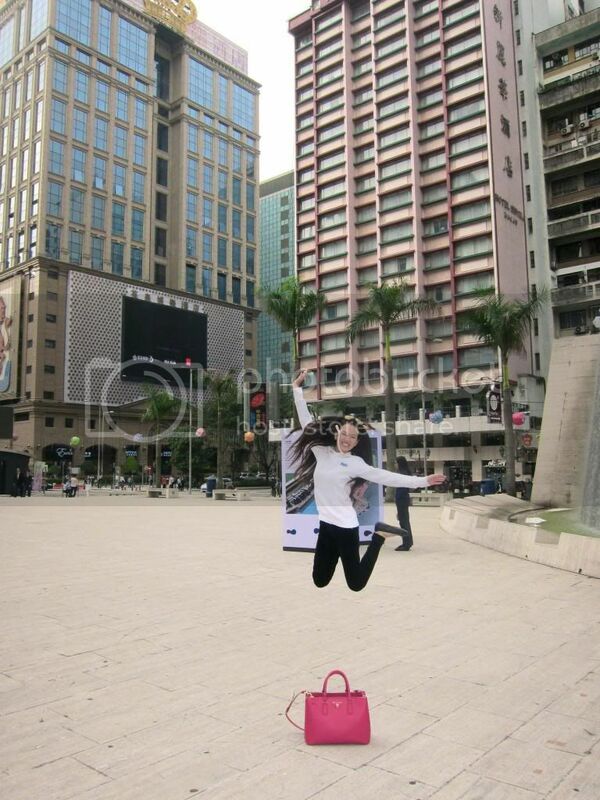 Jumping just because I feel like I want to hehe | Macau City Centre, Macau. "People are going to be most creative and productive when they’re doing something they’re really interested in. So having fun isn’t an outrageous idea at all. It’s a very sensible one. ~ John Sculley"
Always smile, from the minute you wake up, till you reach your bed. It always gives out a positive aura around you. Alvin and I at David Guetta Live in Malaysia | Sepang International Circuit, Selangor. I always look back and appreciate people who I have known for years. Those who stuck around riding this crazy rollercoaster called 'Life' with me. They definitely know me, not thoroughly but sometimes on the surface is good enough. Knowing that they'll be there for you when you need them. Hey, no one would spend hours on giving you advices if they don't care about you. 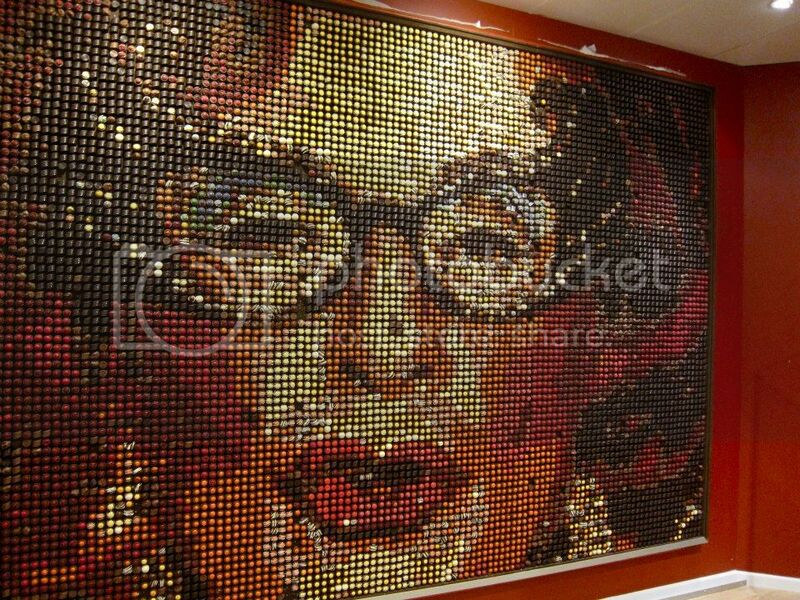 Prolly one of the sweetest art I've seen made out of chocolate truffles | Chocolate Factory, Victoria, Australia. Inspiration doesn't come to you when you're hiding under a rock or do they? I wonder how to people actually find themselves. Does anyone asks themselves what their sole purpose of living is? I do sometimes wonder. If we were all to think that living means, studying, working, getting married, have kids and die, that would be really really sad wouldn't it? girlfriends! At David Guetta | SIC, Selangor. I attended a handful of raves this year. Wasn't a rave-y type of person last time. Couldn't stand the thought of being surrounded by sweaty people, the thousands of crowd squishing and pushing around, you get the drift. But after a while, partying just couldn't cut it no more. Plus, I kinda did like concerts. 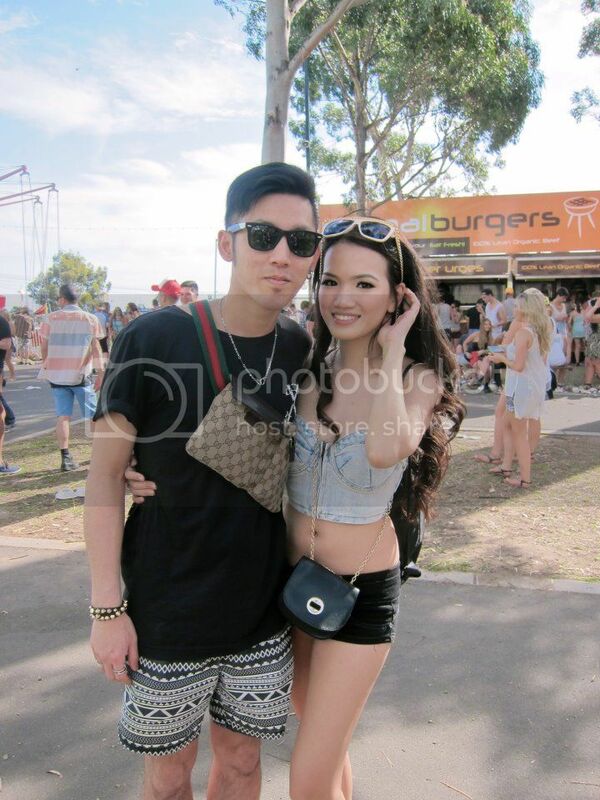 Baby and I at Stereosonic! | Melbourne Showgrounds, Melbourne, Australia. 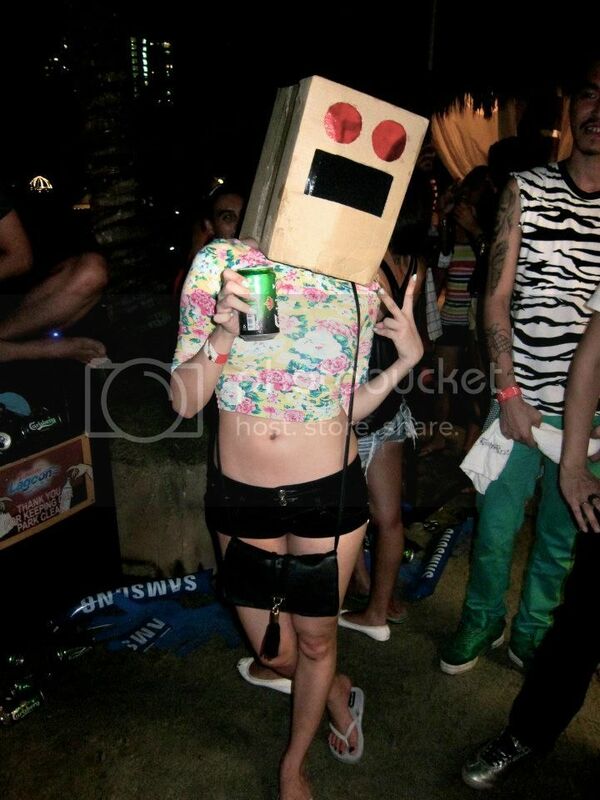 I went for Stereosonic, Melbourne. My first overseas rave, and I do not regret attending it at all. First day rave for me too. I do like being out in the sun, eventhough my forehead got a little bit burnt. Plus sharing all these new memories with someone special just made it more sweeeeeeeet. Valentines Dinner date | La Risata, Kuala Lumpur. What could be more awesome than sharing innocent laughters, making new great memories, experiencing something new with someone you can get along with? It's just priceless. BFF's lunch date, also celebrating Seewai's 'Always Sixteen' birthday | Tanzini, G-Tower, Kuala Lumpur. Doesn't mean you have to see each other all the time to stay close. With all the technology today, there's nothing stopping anyone from keeping contact with one another. I have BFF's around the world and I still talk to them every now and then, we'll be updating each other about our current affairs, maybe even sometimes do silly things and laugh our asses off. 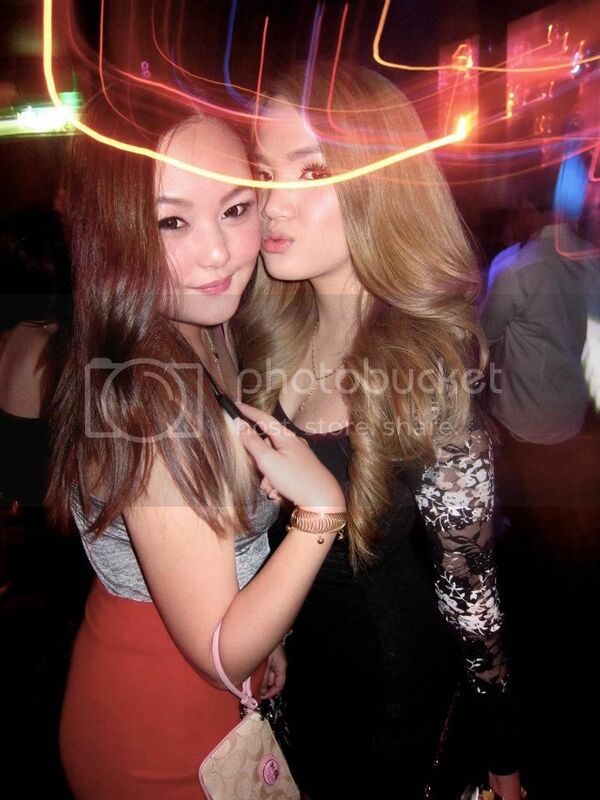 Eekie and I | Zouk Club, Kuala Lumpur. I did a few crazy colors this year. Yes, I am talking about my hair. Usually I just stick to ash-ey, brownish tones. But 2012, I went up to blonde. I knew of the consequences, dry, brittle hair and so on, but I thought, 'Hey I am not getting any younger, and I don't think anyones gonna take me seriously if I do this when I'm older'. So I kinda walked into my usual saloon, sat down and told my hairstylist what I wanted and watched his jaw drop. Haha! JeeHoe and I at Curtin's Rooftop Bar | Melbourne, Australia. Bumping into friends while traveling is certainly nothing shocking anymore. I guess cause transportation/traveling mediums are getting cheaper and more available nowadays that everybody travels, which is definitely a good thing! Danyal and I at Crystal Club | Melbourne, Australia. Have I mentioned that I love acting silly whenever I get the chance to? 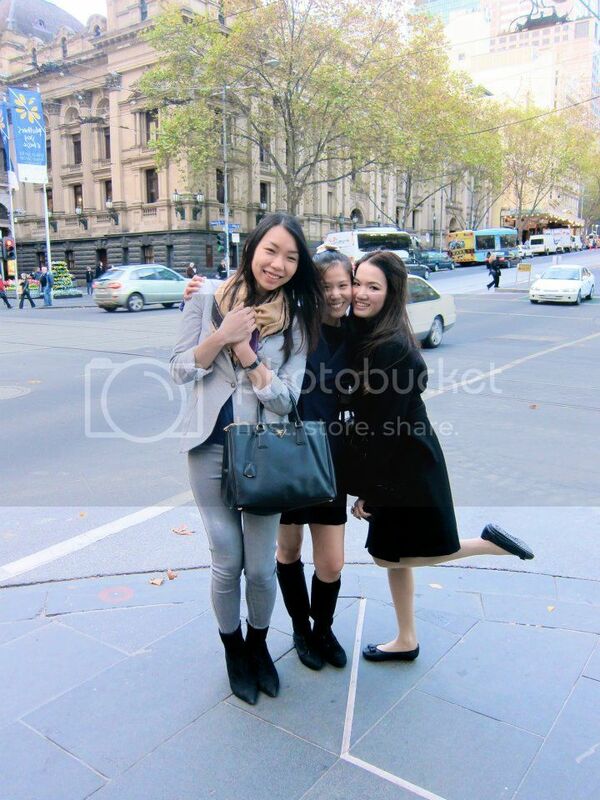 Stephanie, Gigi and Stephanie after brunch at Levain | Melbourne, Australia. Some friends of mine, migrated abroad, works abroad and the list goes on... I love how when I meet them we have tons of things to catch up on. Oh the advices they would give me! Sometimes gets pretty inspiring too. I love listening to their stories and I do asks myself, what's next for me. 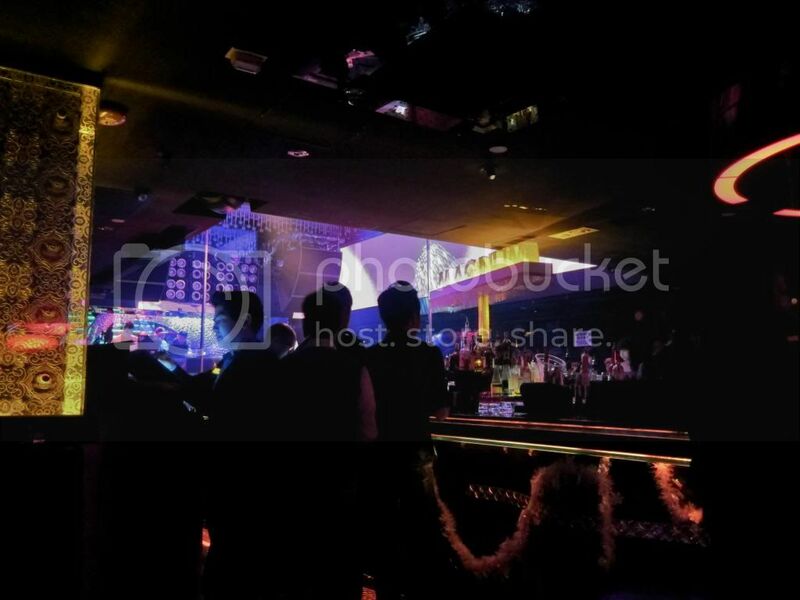 Showtek at Chasers Nightclub | Melbourne, Australia. This year was about new experiences and getting out of my comfort zone. Dragging myself to things I don't usually do or attend. I'm happy I did, cause I had so much fun doing everything I did hahaha. Okay that, just sounded so trickay. 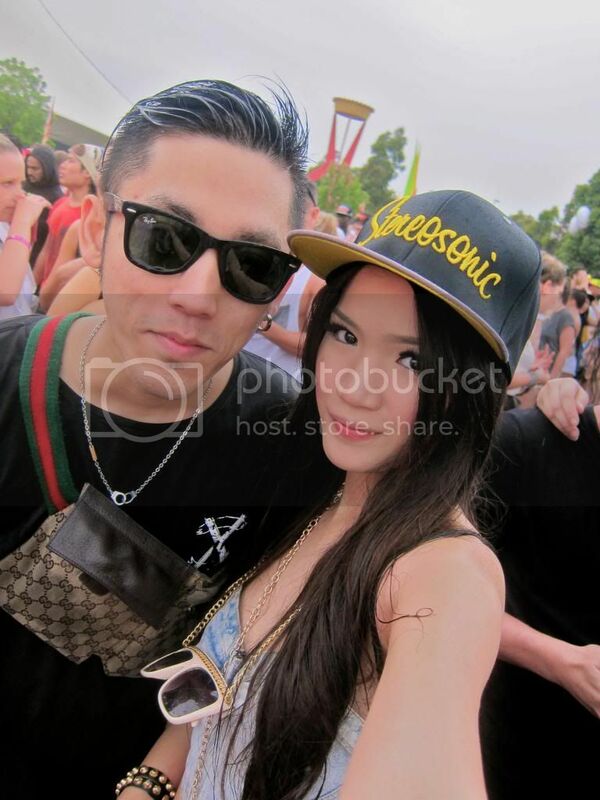 Baby and I at Stereosonic | Melbourne, Australia. Like I never knew dancing in the cold, pouring rain could be this much fun! Or the fact that I preferred day raves so much more (: just having good music play, people dancing & singing along, and the best part, the sunsetting as all of this is happening. It's just a sight to behold. Bunny, Red Indians and a Sailor, Halloween! | PNB Executive Suites, Kuala Lumpur. I got closer to a few friends this year, and I am so blessed to have these people in my lives. The good they bring out in me, and the times we spent together. Nothing short comes out of it (: Some may be younger than me but some too are older than me, and I realized at the end of the day, all of us are still learners, we learn and absorb as much as we can, as long we're willing to. I don't think there's ever a day that we'll stop learning. 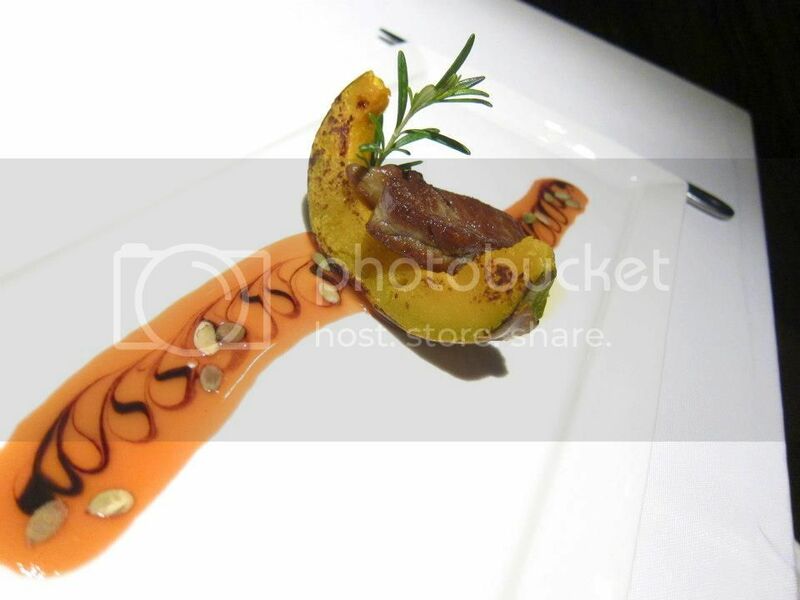 Foie Gras with pumpkin dressing and pistachios | Il Lido, Kuala Lumpur. 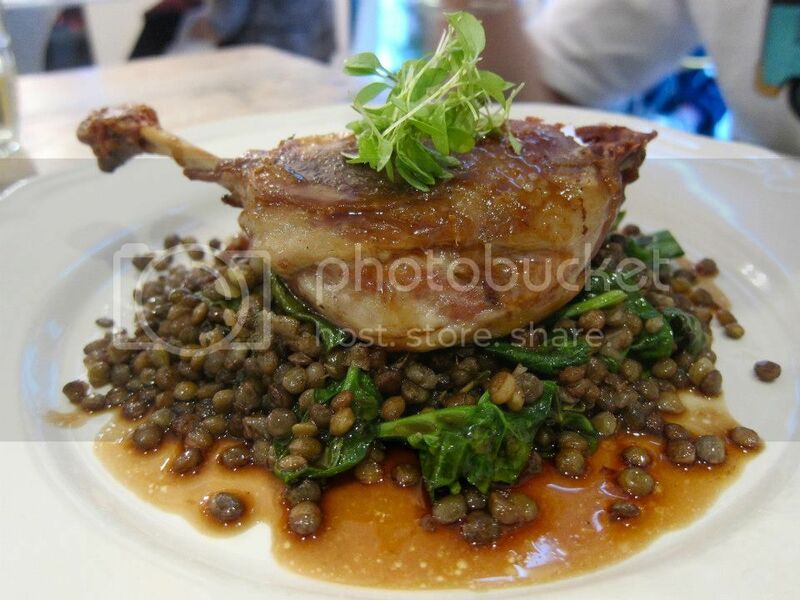 Be it, street food to fine dining, I had some really great yummy food this year. Some things I've tried this year that I never thought I would like ever (cause I could be a really picky eater) like, well I fell in love with some things, like Pan Mee, thanks to the boyfriend who brought me to this awesome shop that serves Chilli Pan Mee. Some unforgettable dishes would be the Black Miso Cod at Nobu, Clair de Lune Bouton Oysters at Cumulus Inc, Fugu at a sashimi bar in Osaka, BBQ Snowcrab on Shinsaibashi, and a whole lot more! I never thought there were such tastebuds on my tongue to taste such fantastic things in my life hahaha. Girlfriends and I on my 22nd Birthday | Il Lido, Kuala Lumpur. Baby & I at Bobby McGee's | Melbourne, Australia. When I look back at these pictures, I see happiness, smiles, new things, accomplishments, new goals I set for myself and so on. No regrets and just a positive mind thinking about the future. I don't want to live in regret. Though sometimes things might get tough, after over coming the difficulties, I just take them as life lessons. 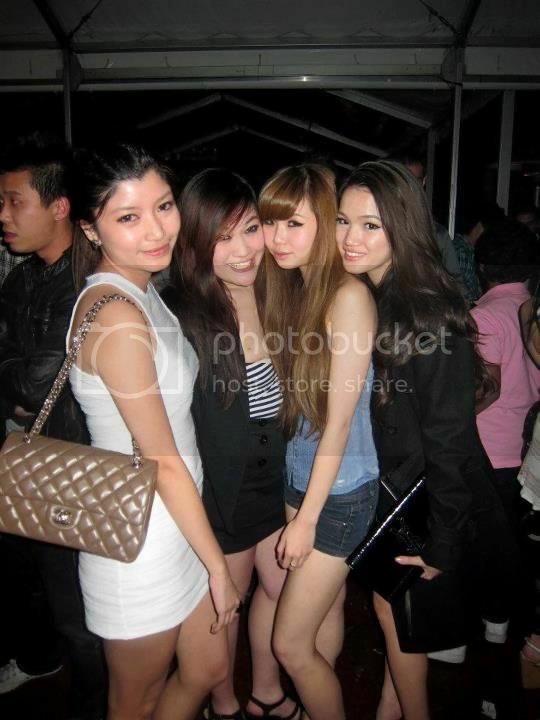 Emmelyn, friend, Michelle, me, Erin and Abi at Zouk | Kuala Lumpur. Always be happy with what you have, work hard if you want something more. Never look back in regret, anger or jealousy, be thankful with the outcomes. It's easier said then done, but the contentment you'll find will be sufficient. Angelyne and I at Hotel Maya | Kuala Lumpur. I have my fair share of working hard to get what I want. I know it looks like I have an easy life but I have my problems and worries as well. No one posts pictures of them nerding it out at Starbucks or the library do they? Those late nights studying or even finishing up blog posts could be really really tiring, plus certain events that I have to attend. No wonder my dark eye circles are always popping out! lying on the green green grass | Melbourne, Australia. That's why I try to not take things too seriously. I am a girl who over thinks... a lot sometimes, to the point I get grey hair and stress issues. When I fall sick it's mainly due to fatigue and unhealthy eating/living habits. So this new year, hopefully, I'll improve on managing that! It's snowing at Castle Park! | Osaka, Japan. I've seen snow a few times, but every time it's different. There's just something about these light icy particles that falls from the sky. It makes you stop and look around at everything beautiful around you. We get so caught up with our lives that while we were running through living we miss out on the things around us. Farid, Eric and I at Zouk Sepang | Sepang International Circuit, Malaysia. I don't think I'll stop partying any time soon but I'll definitely slow down. Lots of different priorities this year, plus the responsibility load is piling up. Change is definitely inevitable so is growing up. I guess I have to balance everything out instead of continuing with how things are or else it'll just be the same routine over and over again. 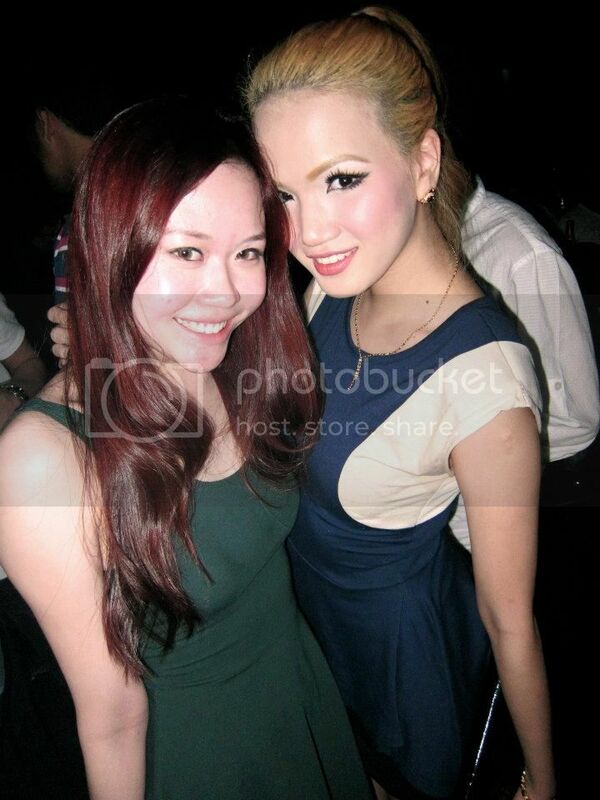 Blondie and her Vampire | Zouk, KL. I'm sure I'll find new things to try out. Or do any of you have suggestions of a hobby? 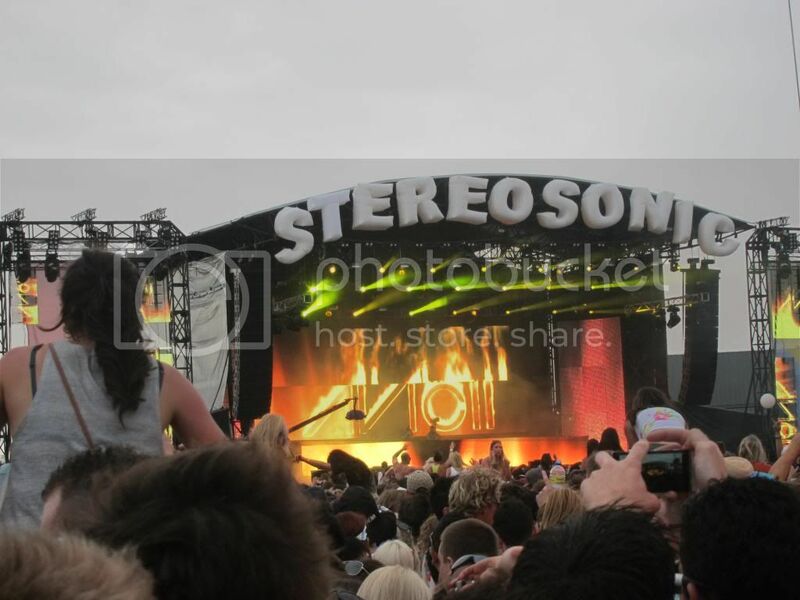 Avicii at Stereosonic | Melbourne, Australia. Can't believe I saw him twice in 2012, when I was begging to see him so much in 2011! Lol, talk about getting your wish come true. Tiger Kingdom | Chiang Mai, Thailand. I never thought I would come THIS close to a real, living and breathing tiger. And even get to pet it, stroke its fur, lie on it, and even get my picture taken! I was terrified at first but fears aside I did it and it is something to remember. And yes, for the last time, it is a real tiger. 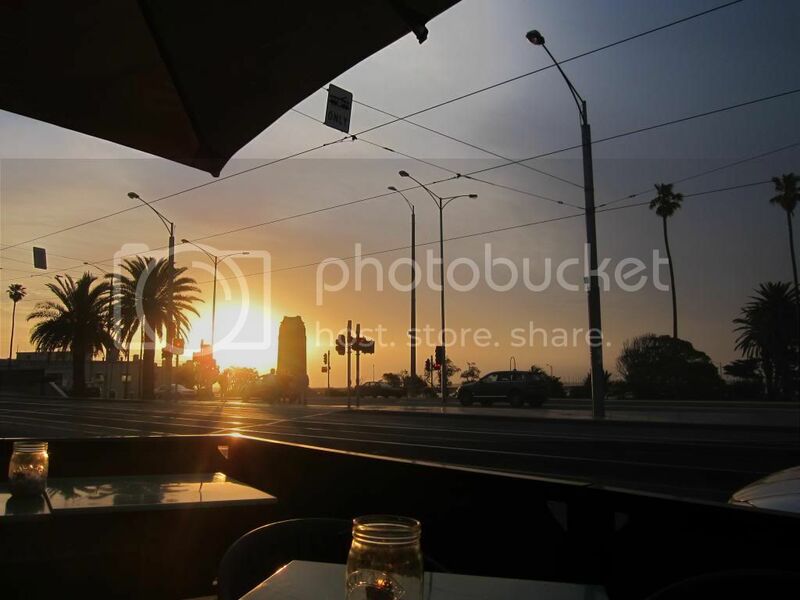 Watching the sunset at St. Kilda | Melbourne, Australia. 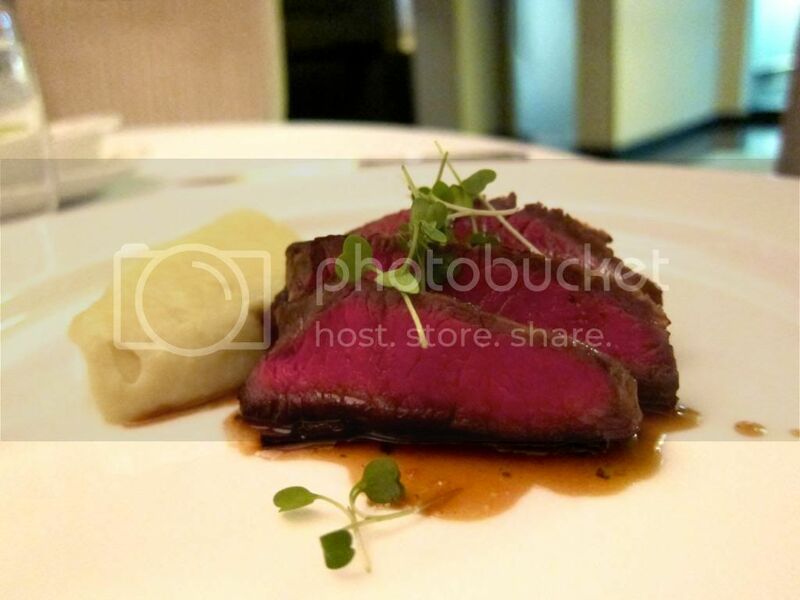 Fine dining at Cilantro, Wagyu Beef | Kuala Lumpur, Malaysia. Our sixth monthsary at Marini's on the 57th | Kuala Lumpur, Malaysia. I am grateful and happy I found someone who spoils me when he can, gives me morning kisses and talks to me everything before I sleep. Even when we're miles apart, he'll watch me fall asleep through Skype and I will wake up to his snores haha. It's all these small things that makes a relationship work. People tend to forget them after a while, that's why we always have to keep rotating and try out something new, be it if you're in a relationship or not. 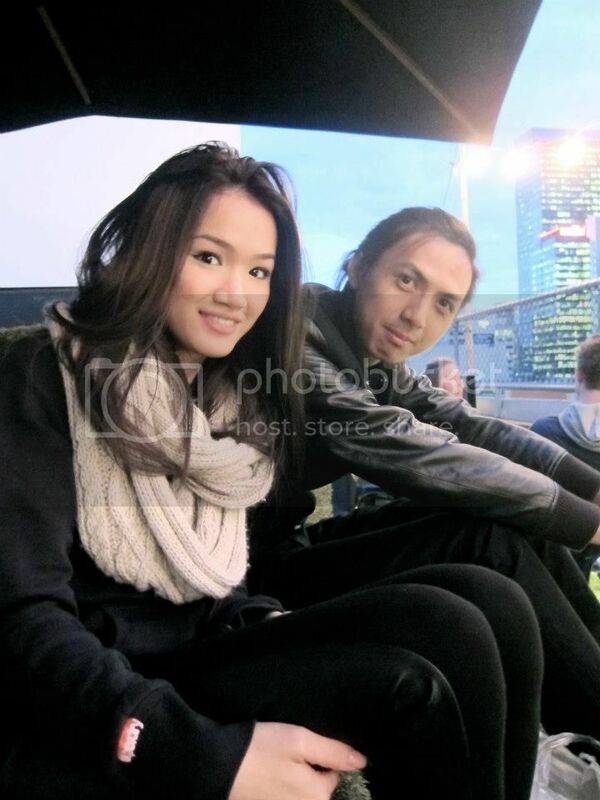 Paddock tour and pillion rider at MotoGP with Jane and Povy | SIC, Malaysia. One of the highlights this year was also getting to ride on a super bike! I would probably never do it again as I was actually scared to death, shaking and trembling as I got down so thankfully in 2012 I managed to do it. 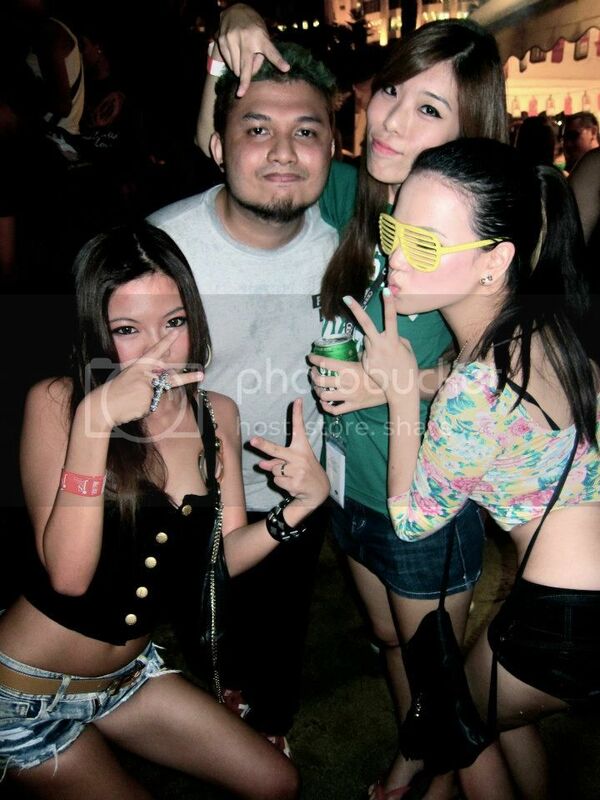 Party rocking at LMFAO lives in Malaysia with Sonia, Putera and Valerie! | Sunway Lagoon, Malaysia. Pretty lights from a lovely dinner on a ship! | Ho Chi Minh, Vietnam. I love cities with big bright lights! It just gives me this feel of being in a different world. Maybe cause I don't see this many lights on buildings in KL haha. 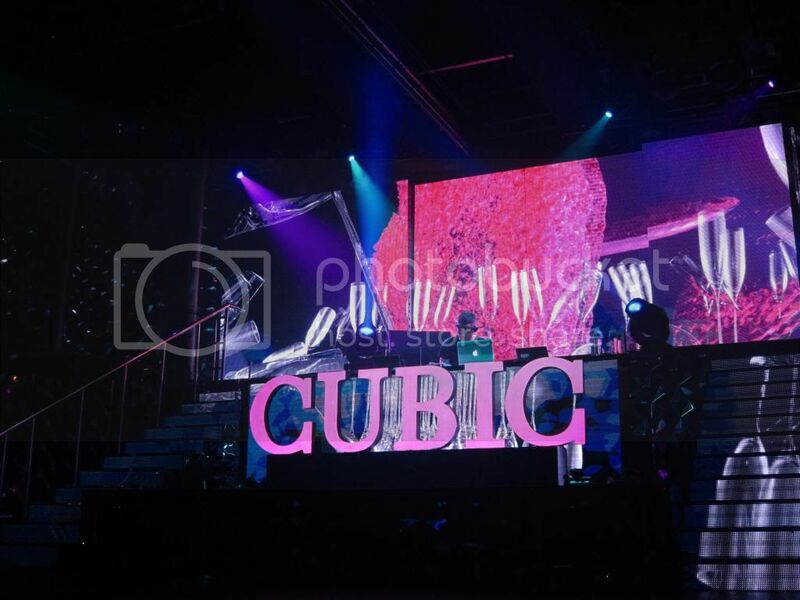 Club Cubic at City of Dreams | Cotai, Macau. I've been to quite a few clubs this 2012 too! Haha yes I know it's nothing to rave about but seeing the different ways and what nots of the clubbing life in different countries is actually quite fun. Oh and alcohol prices in different countries too lol. Yours truly, Jacklyn and a new friend haha, I forgot the name of this club though /: lol. 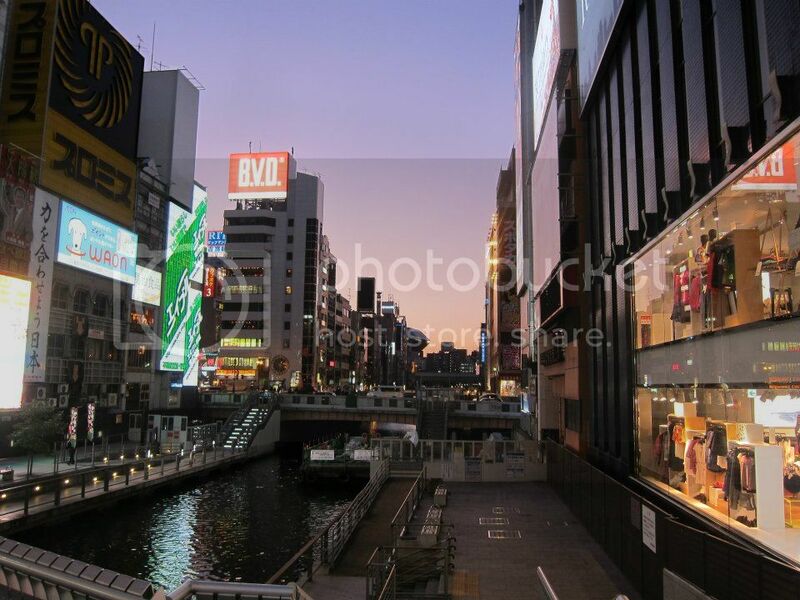 | Osaka, Japan. Moet Cages at Zouk | Kuala Lumpur. Cocktail concoction at Chill Sky Bar | Ho Chi Minh, Vietnam. 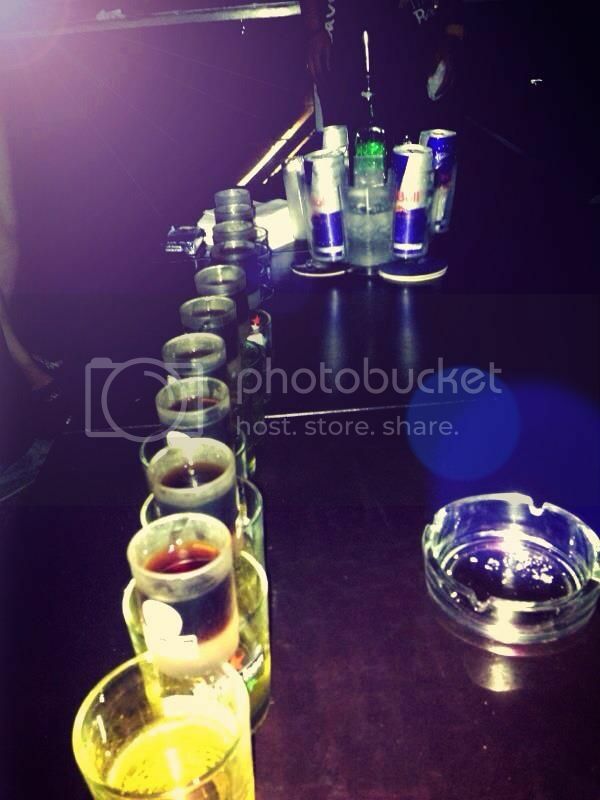 Jager-train at Beerfactory | Selangor, Malaysia. 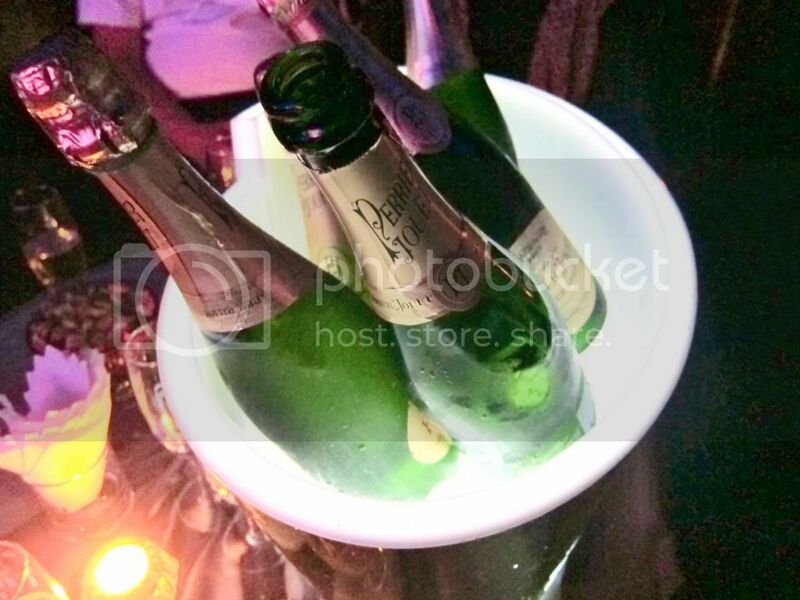 Perrier Jouet Champagne at Club Cubic | City of Dreams, Macau. 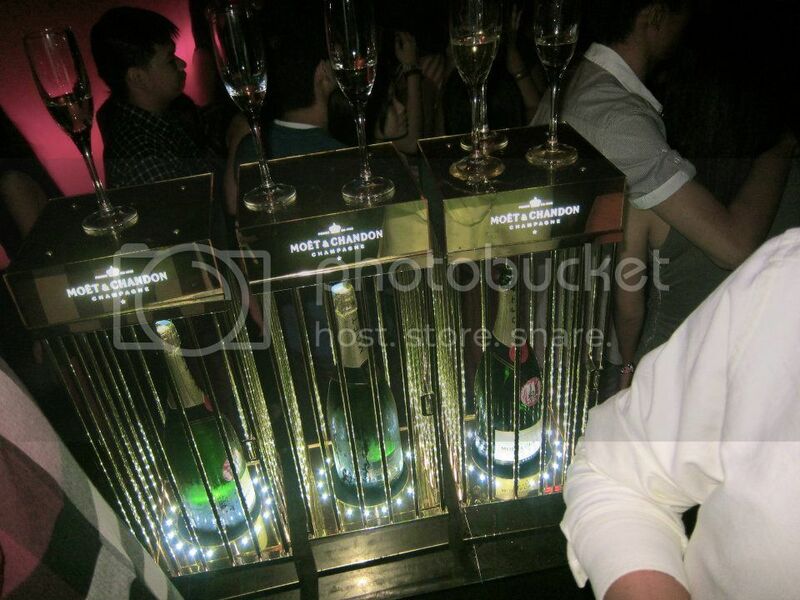 Probably one of the most expensive paid for champagne in a club, with a bottle costing up to RM4000 it does taste sweeter than Moet but does any one knows the retail price of this? Still quite curious about this, cause I know the crazy prices of liquor in Macau clubs. 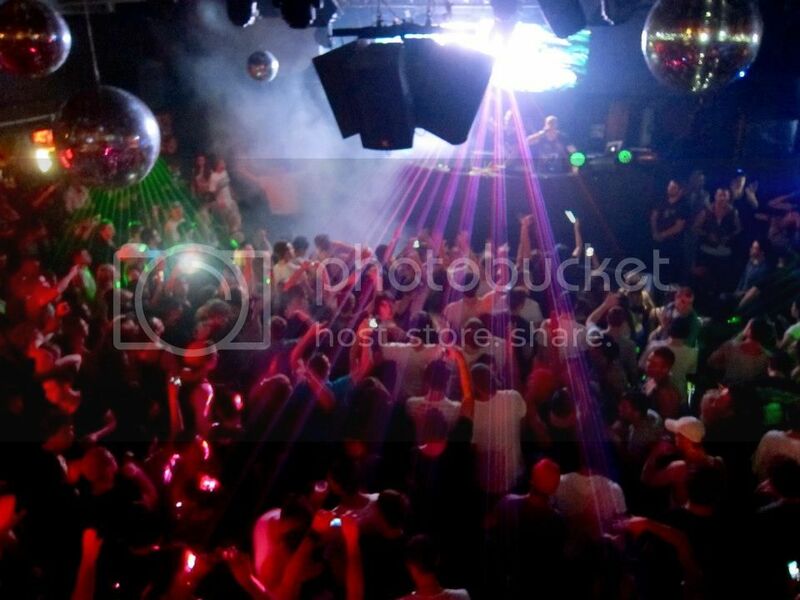 clubbing with Luqman at Maze Fridays | Melbourne, Australia. 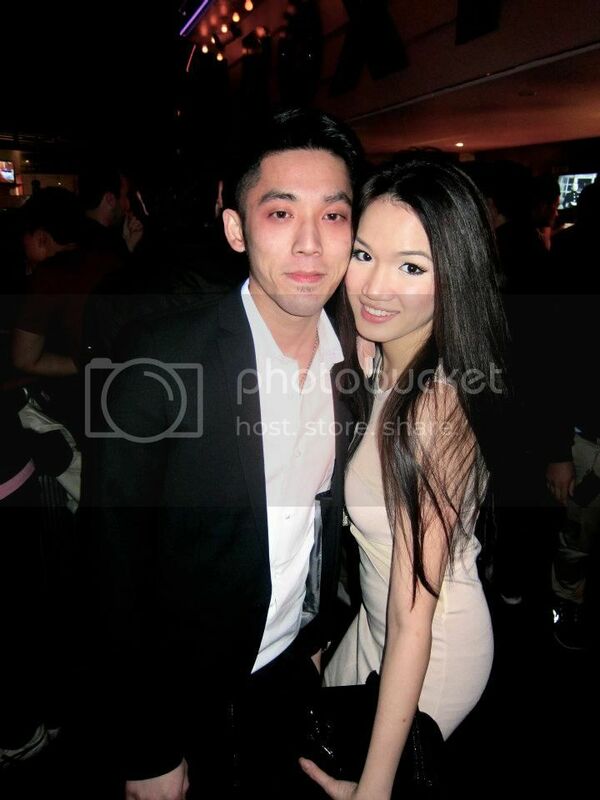 Club Magnum | Lan Kwai Fong, Hong Kong. Backstage with Kev Nish from Far East Movement at KL Live | Kuala Lumpur. Mummy and I at a dessert shop on Shinsaibashi | Osaka, Japan. 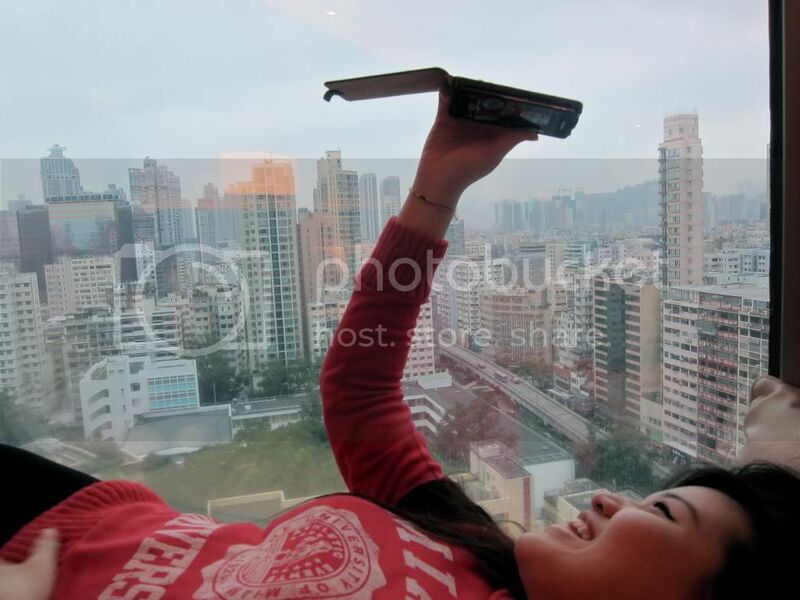 Erin lying on the sunbed at our hotel in Hong Kong | Royal Palace Hotel, Hong Kong. 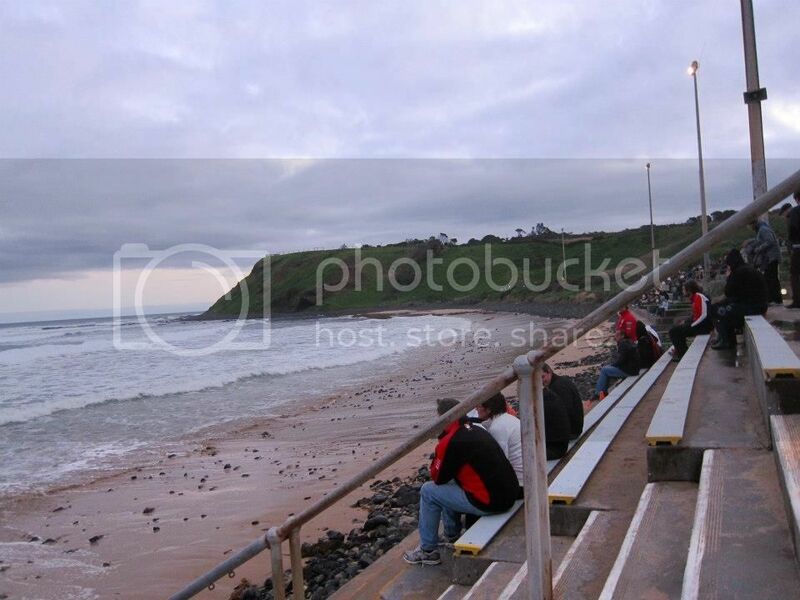 Waiting for cute penguins | Philip Island, Australia. Howie and I at Route 66 | Bangkok, Thailand. It's good being young, crazy and fun! Happy times all around, acting retardooo just cause you want to, laughing for no reason, jumping and singing along to songs. That's what being a teenager is about, doing the things you won't be able to when you're much older. 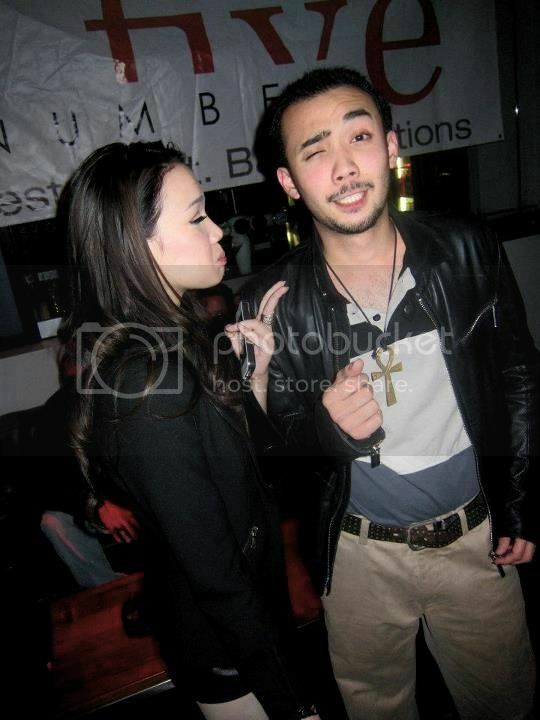 Audrey and I being silly at Zouk | KL, Malaysia. Having some good ramen! 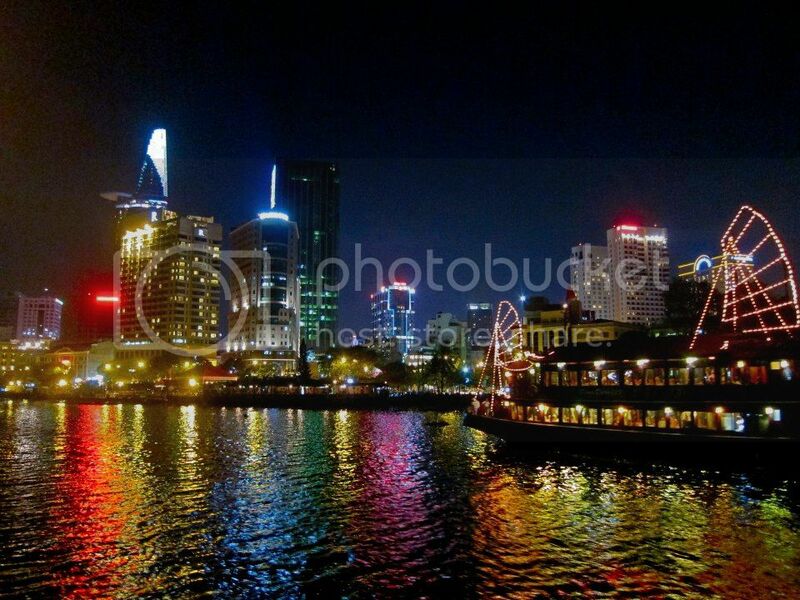 | Singapore. 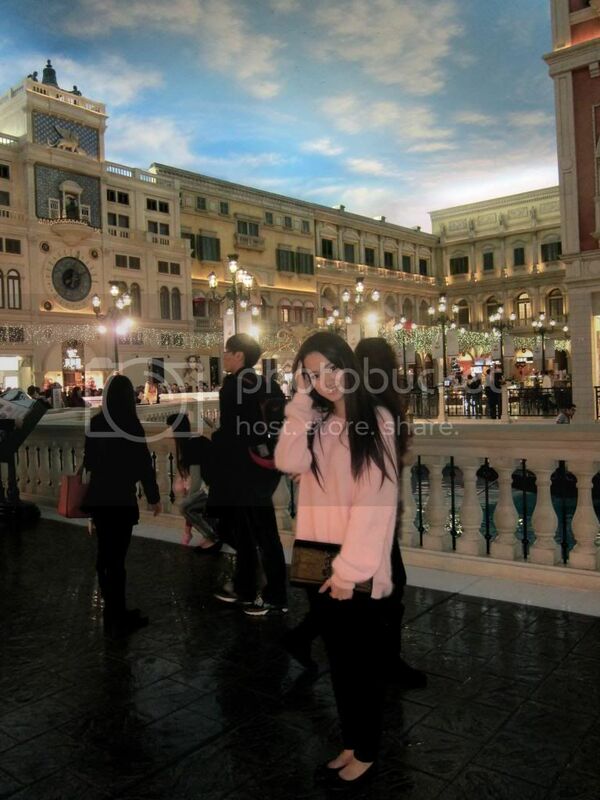 Shopping at Venetian | Macau. The best time to take pictures and adore the architecture and workmanship of the Venetian would be after 11pm, when all the shop closes and nobody's around. I did that, haha not on purpose obviously, got lost walking around the Four Seasons and Venetian, but I got to explore the place which was awesome! 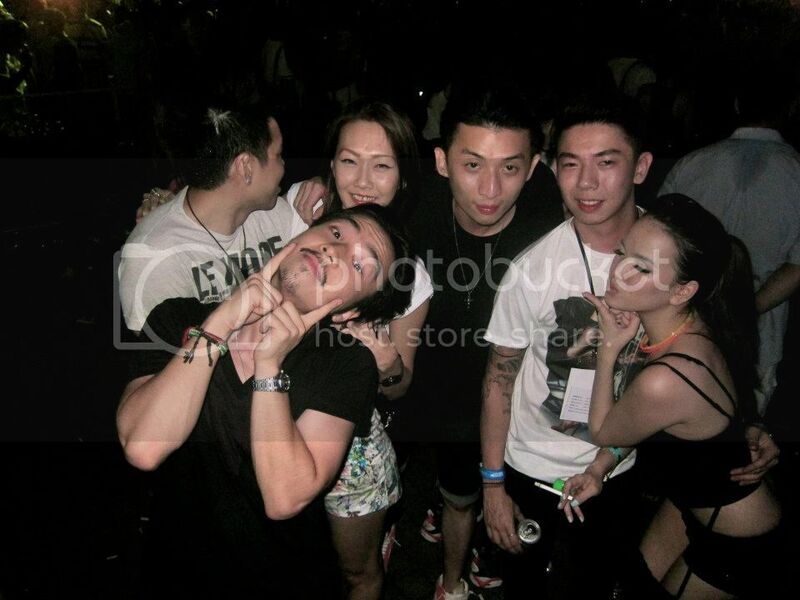 Blink, PuiYee, Alvin, Davern and I at Zouk Sepang | Malaysia. Enjoying ice cream on a super hot 40*c day infront of the State Library | Melbourne, Australia. I will never let the kid in me go. It's never fun being an adult and all serious. I still want to do random spontaneous things, act silly around my friends and family, make stupid faces while taking pictures and so on. LMFAO live in Malaysia | Selangor, Malaysia. 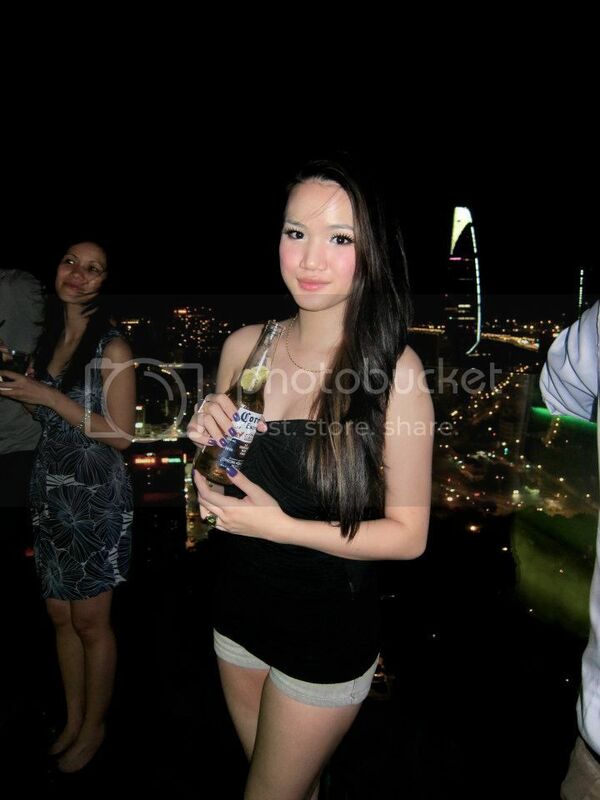 Erin's 18th Birthday | Malaysia. The cousie Jason, me and Cynthia at Zouk | Malaysia. 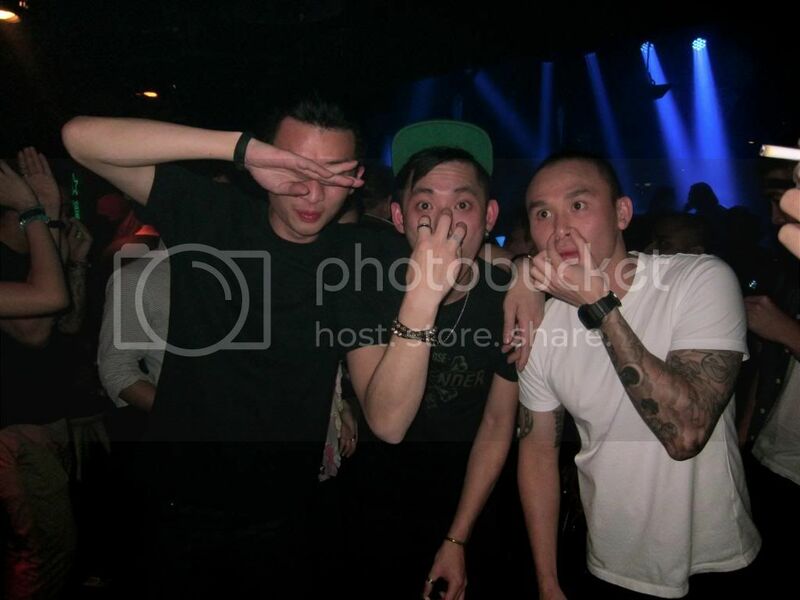 3 silly boys Alvin, Howie and Edric at Zouk for Nari & Milani | Malaysia. What's my resolution for this year? I've never made resolutions, it's like putting unnecessary stress on yourself. If it happens, it happens, on your own will at least. Not cause you set some rules and then start forcing yourself to do this or that by THIS year. Baby and I walking home while the sun was rising | Melbourne. One thing I would like to do this year, smile and laugh more. Not waste time on being angry, getting distracted or waste time doing nothing. Productivity is the key to all things good, well almost. Girls day out, swimming! | PNB All Suites, Kuala Lumpur. 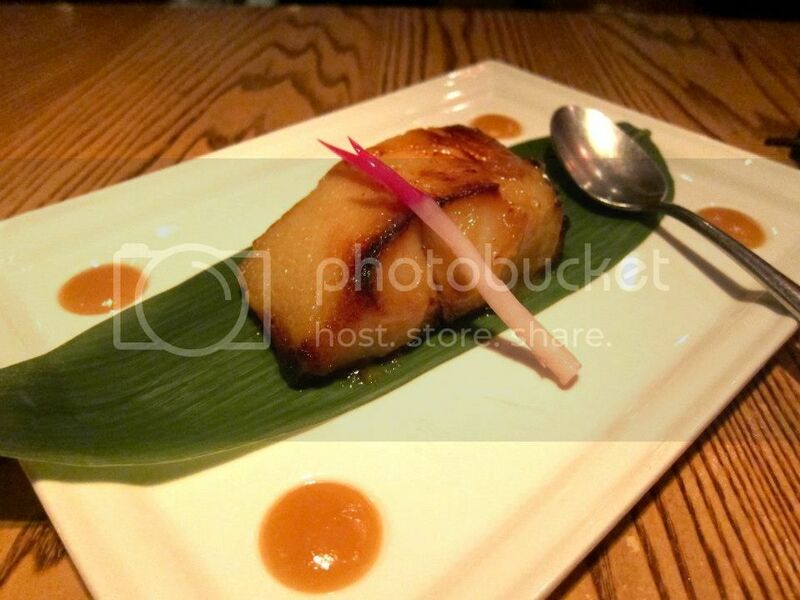 Black Cod Miso at Nobu | Melbourne. There's still much room in my tummy for everything that tastes good! I want to explore every alley, street, city I can for glorious tasting food. My tastebuds are not settled yet, and I want to try liking tofu (beancurd) and everything else I dislike. Dominic Lau and I at Black Circuit Lounge | Malaysia. 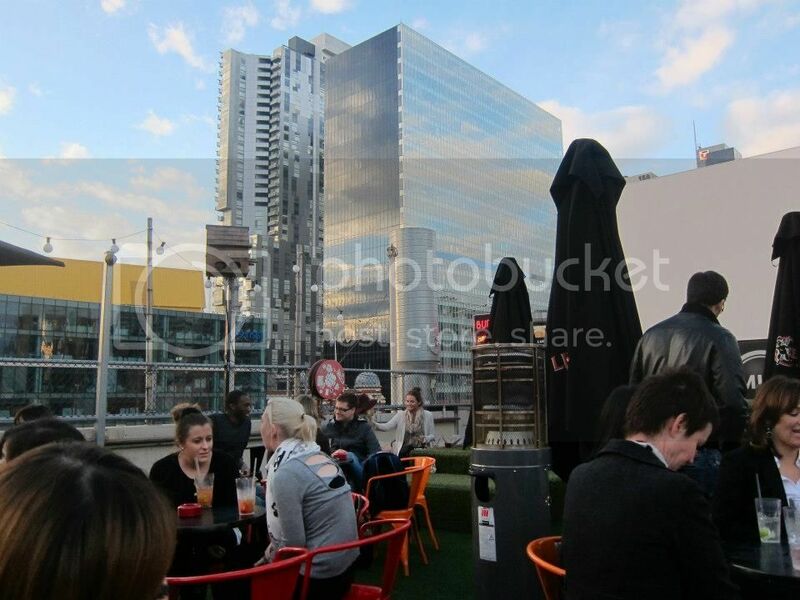 Rooftop bar on Swanston St. | Melbourne, Australia. Seewai and I at Zouk | Malaysia. Yeehui and I, somehow catching up in Zouk lol | Malaysia. 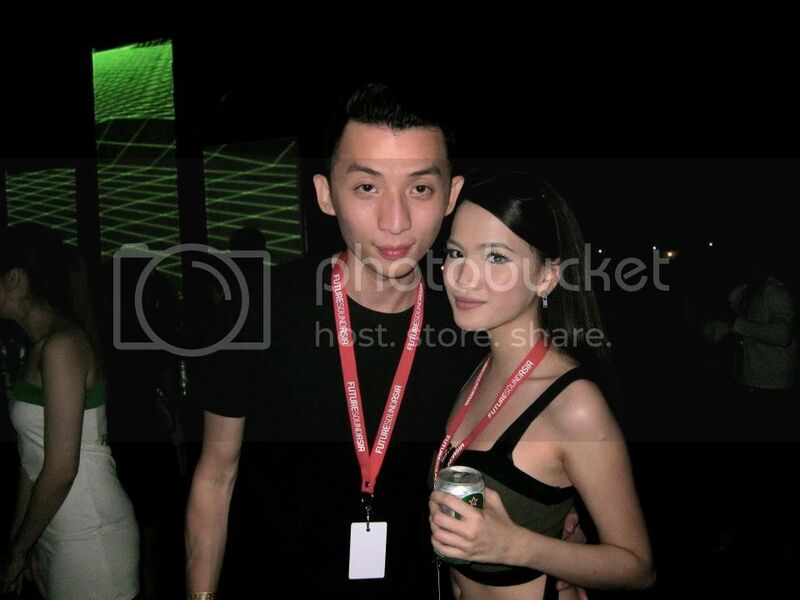 FHM GND Party at Aristo, Zouk. Losing team had to be punished. Hence, Waihann had to carry me haha | Malaysia. Train station! | Osaka, Japan. There's a few places I wish to go back this year. Osaka and Tokyo in Japan, Bangkok and maybe Chiang Mai in Thailand, Macau and Turkey! I am hoping to visit Europe, and maybe India. Oh and Hokkaido! looking good is overrated HARHAR! 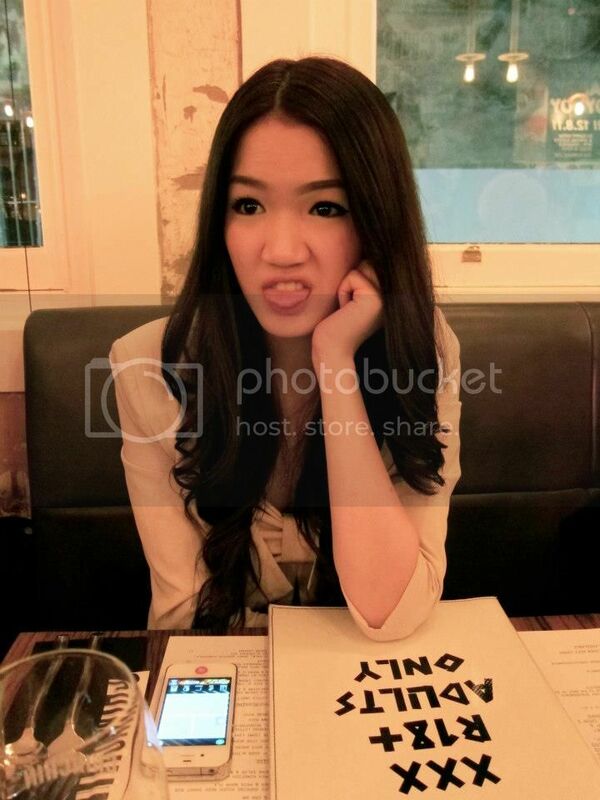 Grumpy me waiting for food at Chin Chin | Melbourne, Australia. 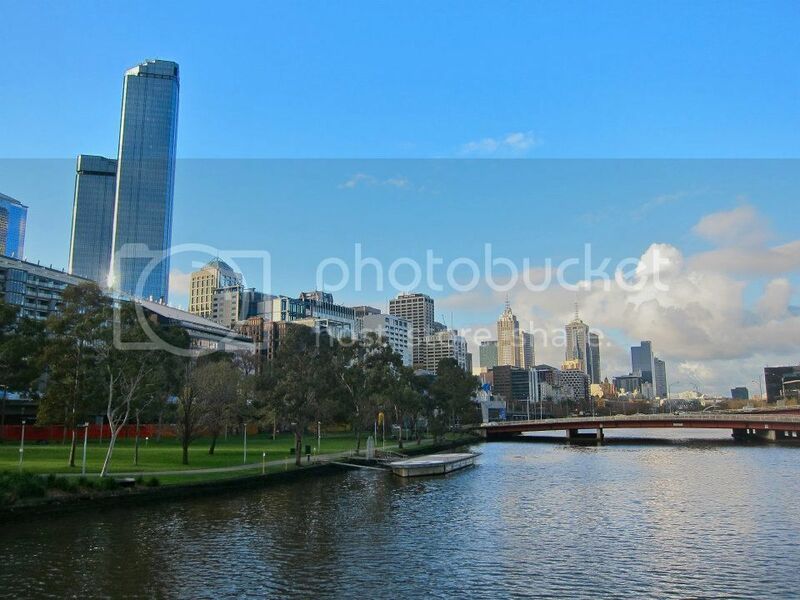 City skyline | Melbourne, Australia. 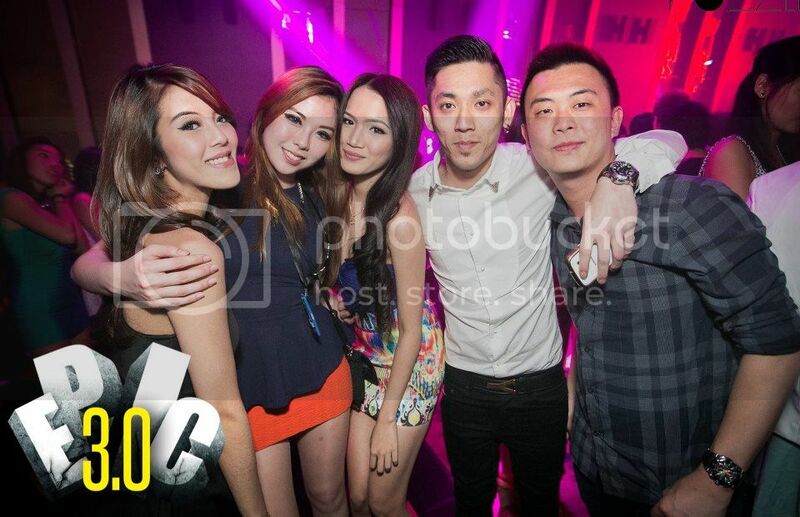 I think I've not seen enough of this just yet..
Clarisa, Emmelyn, Abi and I at Maze Fridays | Melbourne. Suntanning on Surfers Paradise | Gold Coast, Australia. I'm hoping to do more of this (above) as much as I can or afford to, lol. I need to go back to reading novels and just chilling. Gives me more creativity to my writing. 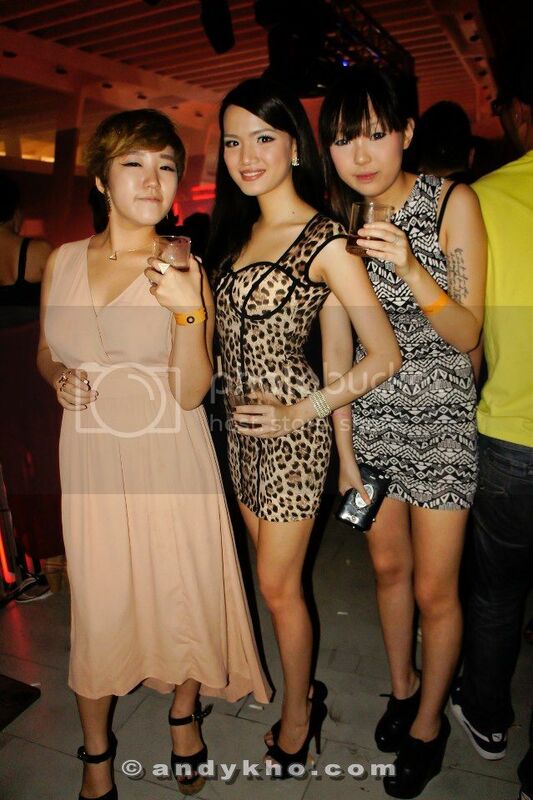 with Nari and Milani at Zouk | Malaysia. EPIC 3.0 with Su, Mel, myself, baby and KY at Crowne Casino & Hotel | Melbourne. Weilun and I at Zouk | Malaysia. Kapoh and I at Zouk | Malaysia. Why is it that we only seem to believe the negative things people say about us, no matter how much evidence there is to the contrary? At some point, you just get use to people talking about you. What is it to you anyways? Those who knows you won't believe it if it wasn't true, those that do definitely doesn't know you. Some people are talking about you just because their lives are boring. Don't respond. Keep living your life. Nothing pisses them off more. 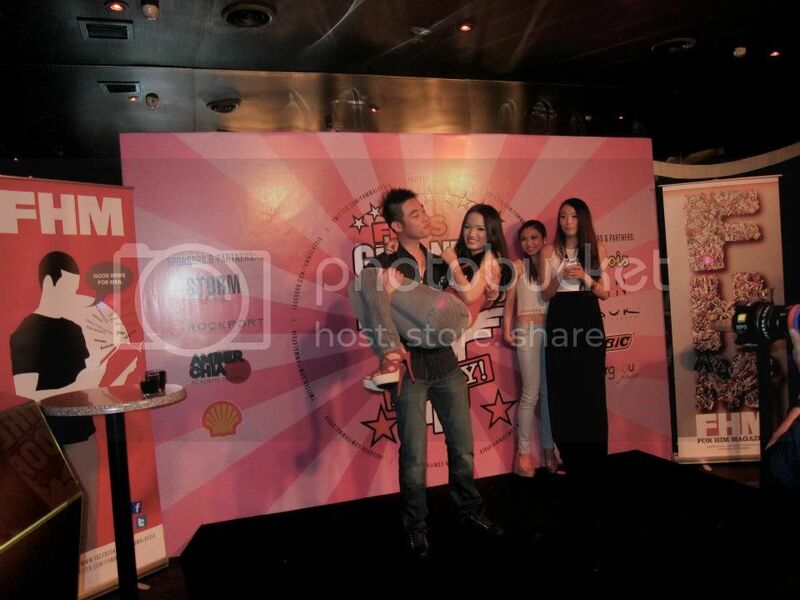 Erin and I at FHM GND party | Malaysia. Shopping at H&M Shinsaibashi | Osaka, Japan. This happened when there was no H&M in Malaysia. Couldn't help myself to pretty looking affordable clothes! 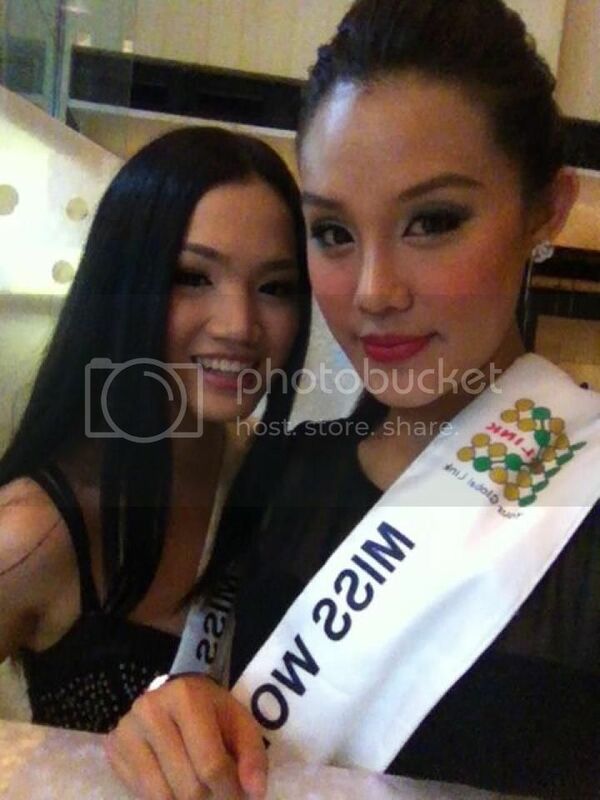 Miss World Malaysia 2012 Finals | Malaysia. One of my accomplishments this year. Going up on stage, performing, walking and talking. Our one year Anniversary at Cilantro | Kuala Lumpur, Malaysia. Finally the one year mark of our relationship. Being in LDR this seem like years. But everytime we meet again it's just wonderful. I guess it's all that missing each other pent up inside. Well everything has its wonders. Nothing makes me happier than spending every time I can with him, and likewise. For some reason, though we're quite different from each other we still get along very well and some times find new things about each other that amazes us. Well that sorta sums up my year, not fully but well it's what I am willing to share with you guys hehe. I hope 2013 will be a great one for everybody! To a great year ahead (: till then, x. Do say Hi next time you see me and please do mention your name or I'll be in a 'huh?' face haha. This is absolutely one of best picture posts I ever seen.. really beautiful. Also, any plans to travel to Bangalore ? hello Stephanie.. how r u doing ? Keep taking pics n posting.. y look super beautiful in all of them. Also any plans to travel down to Bangalore ?